Elko, NV – Aug 10, 2017 – Lithium Corporation [OTCQB – LTUM] “(the Company”) is pleased to announce that it has received preliminary assays from its BC Tantalum-Niobium project. Work has primarily focused on the Yeehaw prospect where due to it being geologically similar, and logistically superior, the knowledge that can be gained fairly easily there can then be applied to the Michael prospect, making systematical exploration of that claim block considerably easier. Rock sampling at Yeehaw has indicated that the Coryell Syenitic intrusive host rock is considerably “charged up” with values of Niobium (as high as 111.78 ppm), Tantalum (as high as 7.8 ppm), Lithium (as high as 48.4 ppm), and Cerium (as high as 324 ppm), among other notable elements all considerably anomalous. Of special interest – all samples of this Eocene aged intrusive were anomalous in Rare Earth Elements (REE’s), with Total Rare Earth Oxides (TREO’s) averaging over 0.5% from the samples taken from the intrusive rock which underlies the majority of the Company’s claim blocks in the area. This is notable due to the economic value of these elements, for instance Neodymium Oxide – which is present on the property (average of all samples in intrusive 88 ppm) was priced at $38,637 – $39,389 per metric tonne in July of 2016 FOB China. Presently China enjoys an almost total monopoly on Rare Earth production, and any new economically feasible deposit of these elements that are critical for tech and defense applications in North America would find a ready market for its output. Work has been suspended here due to the fire bans enacted by the Ministry of Forests of British Columbia, where more than a million acres of forest lands have been consumed by fire this season, and a number of fires continue to burn. The Company is looking forward to cooler temperatures and is hopeful for a bit of rain so that we can continue to explore these exciting prospects. 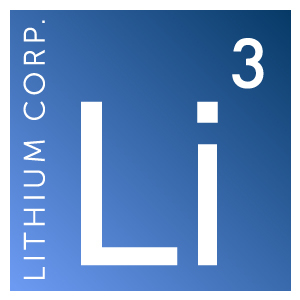 As outlined in earlier press releases, the Company has the option to earn a 100% interest in three separate claim blocks under the terms of the March 31, 2017 agreement between Lithium Corporation and Bormal Resources Inc.
Lithium Corporation is an exploration company based in Nevada devoted to the exploration for energy storage related resources throughout North America, looking to capitalize on opportunities within the ever expanding next generation energy storage markets. The Company maintains a strategic alliance with Altura Mining, an ASX listed natural resource development company that recently announced it has secured $110 million in project financing, and is currently developing its 100% owned world-class Pilgangoora lithium pegmatite property in Western Australia.